Friday, February 8th, 2019 marked the 60th anniversary of the first meeting of the Progressive Group, in Flatts. That secret gathering began a 3+month process involving 18 people envisioning a better Bermuda and brainstorming strategies towards that end. As a result of that process, by mid-June 1959, the Theatre Boycott began, a successful, popular movement removing most racial barriers and renewing our society. That ‘renewal’ is captured in the theme ‘Busy Being Born’ for the Observance of this 60th anniversary. On Friday, February 8th, 18 students from Elliott Primary, Whitney Middle and Somersfield Academy, gathered in Flatts to symbolically launch the 3-month observance. 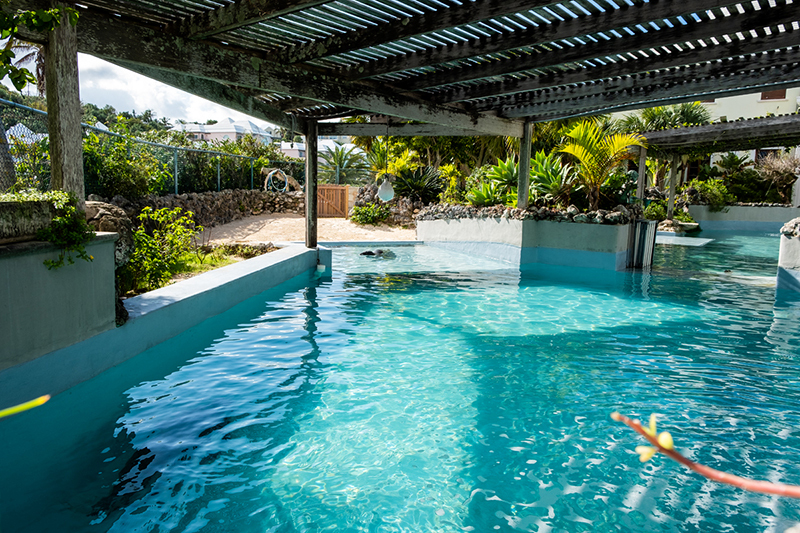 These locations included the Flatts Cricket Field – a few-minutes by short cut walk from the Williams’ home. 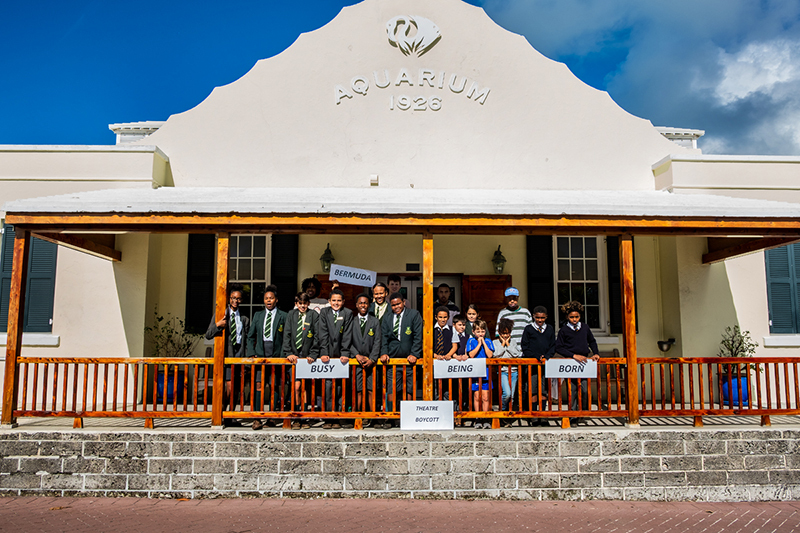 The other favourite parking site was the environs of the Aquarium; which – in the spirit of synergy – remains a centre for maintaining and renewing local flora and fauna. 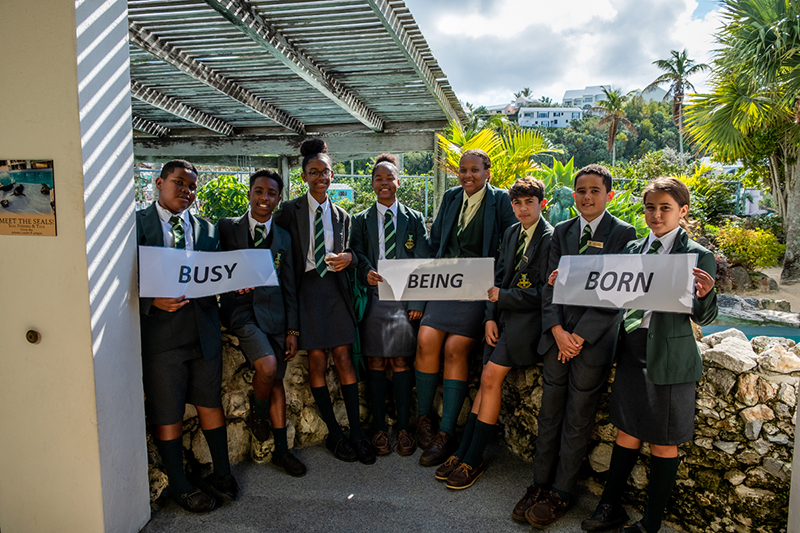 The observance’s goal, over these 3 months, is to foster collaboration across the Island, that speaks to the theme ‘Busy Being Born’, in practical ways. 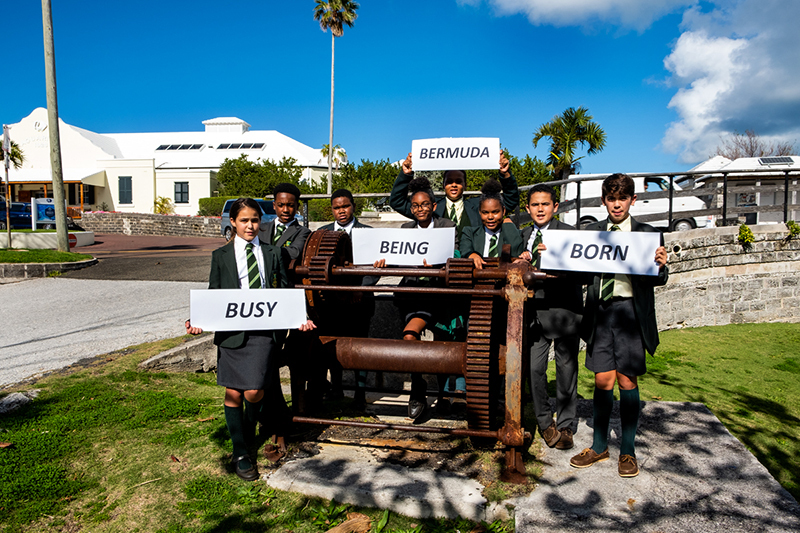 As we look back in appreciation of the many on whose shoulders we stand, we are encouraging each other to join in creating a better Bermuda, today. During the ‘launch’ on Friday, some students spontaneously played key roles. A Somersfield student provided fellow pupils with an impressive, nutshell explanation of the term ‘boycott’. Given that this M2 student, was able to provide a wonderfully global perspective, it looks like this 3-month initiative is off to a great start. We wish to express appreciation to the Ms Daltonelle Minors of Elliott, Dr Stacey DeShield of Whitney and Ms Stacey Williams of Somersfield for their collaboration in this initiative. We also thank B. Marsh Smith for donating his support with his drone-assisted photography. Nice to let the young ones know that the privileges they have today came with a price, and twice as hard to maintain it.